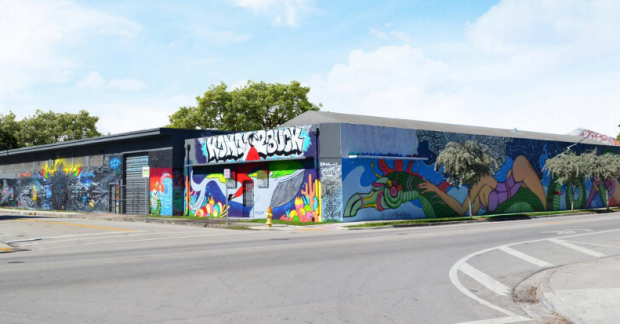 Real estate investor Sam Herzberg has made his first entree into Wynwood with the $22 million purchase of an entire block, and told The Real Deal that he wants to buy more sites in the hot Miami neighborhood. Herzberg, president of the real estate firm Sterling Building, told TRD that he closed on the 48,476-square-foot parcels, at 210 Northwest 22nd Street and 201 Northwest 21st Street, on Wednesday. The property includes a 26,764-square-foot warehouse, built in 1941. The seller of the Wynwood property is Wynwood Propco LLC, whose manager is Remy Jacobson. Jacobson, principal of Cube Development, had purchased the property for $3 million in October 2014, according to Miami-Dade property records. Jacobson took out a $6.25 million loan from City National Bank for the one of the properties in September 2015. Herzberg is a well-known real estate mogul in Miami Beach, where he owns such marquee properties as the Sterling Building at 927 Lincoln Road, as well as 901 Lincoln Road, the site of Victoria’s Secret. The two buildings encompass nearly a block. He also owns the Banana Republic building at 8th Street and Collins Avenue, and the Walgreens property at Collins Avenue and 5th Street, as well as properties on Alton Road in Miami Beach, including the site of Starbuck’s. In Miami, he also owns a property on Southwest Eighth Street that houses a CVS. In late August, he paid $11.4 million for a two-story commercial building at 3800 Northeast Second Avenue in the Design District. “We’re a company that we’re always looking for opportunities in growth areas, on ‘High Streets,’” he said. Herzberg’s son David Herzberg and Richard Do also aided in the deal. Wynwood has drawn a slew of investors in recent months. Last week, New York-based JSRE Acquisitions paid $35 million for an entire retail block along Northwest Second Avenue. The purchase included three buildings at 2301 Northwest Second Avenue, 2315 Northwest Second Avenue and 198 Northwest 24th Street. Metro 1 CEO Tony Cho and Tony Arellano, executive vice president of Metro 1 Commercial, brokered the sale.